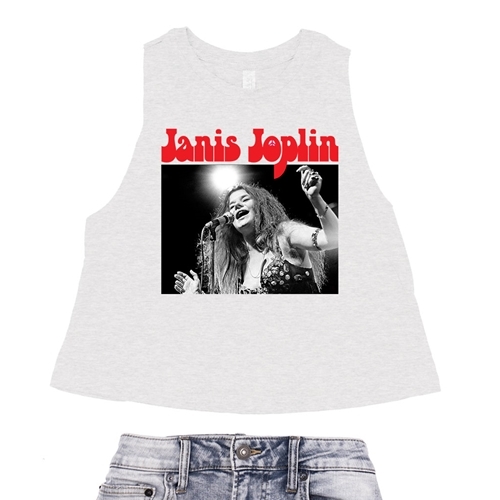 This new official Janis Joplin Music Crop Top is only available through Bluescentric. This Janis Joplin shirt features a vintage peace sign and a famous photo of Janis by Baron Wolman. 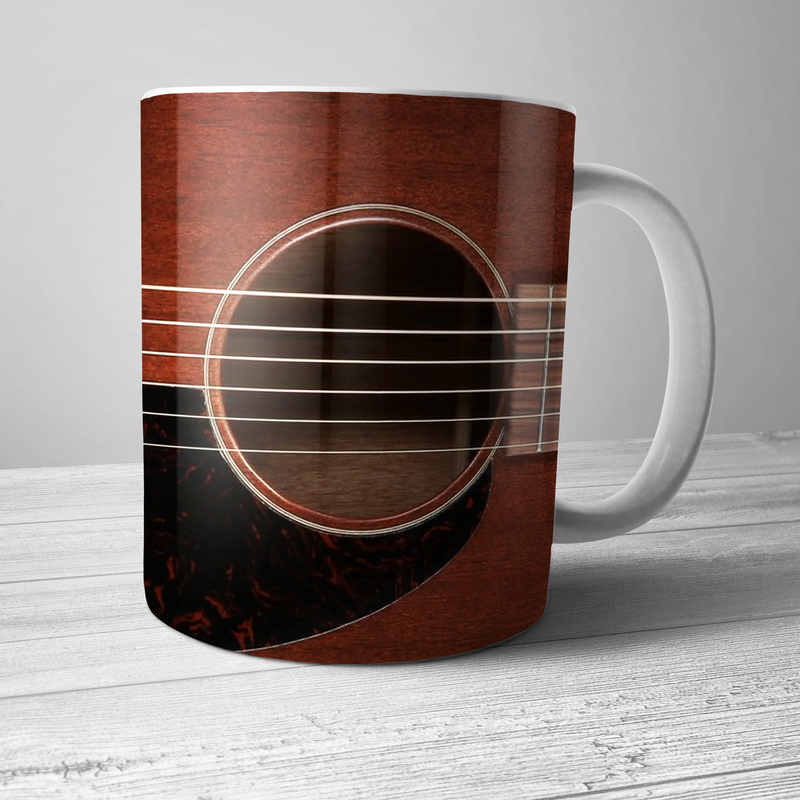 Every sale benefits Janis Joplin's estate, only available through Bluescentric. 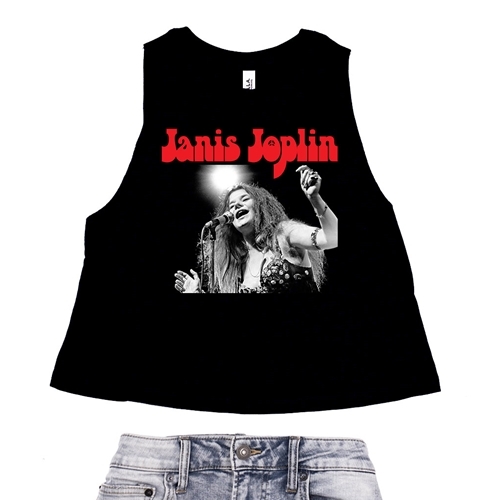 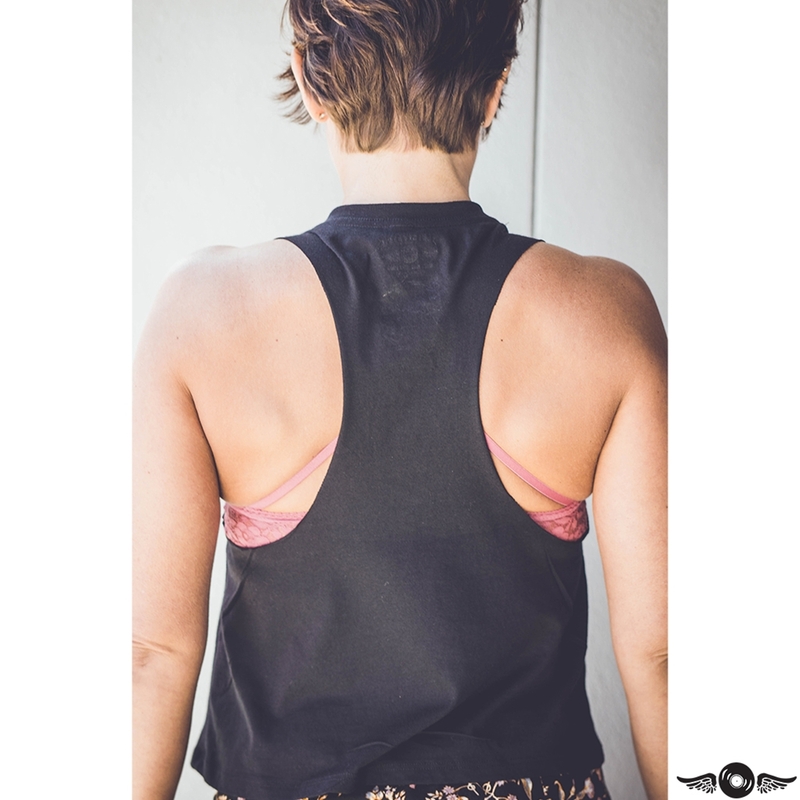 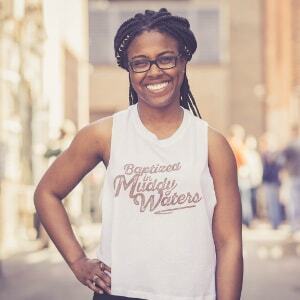 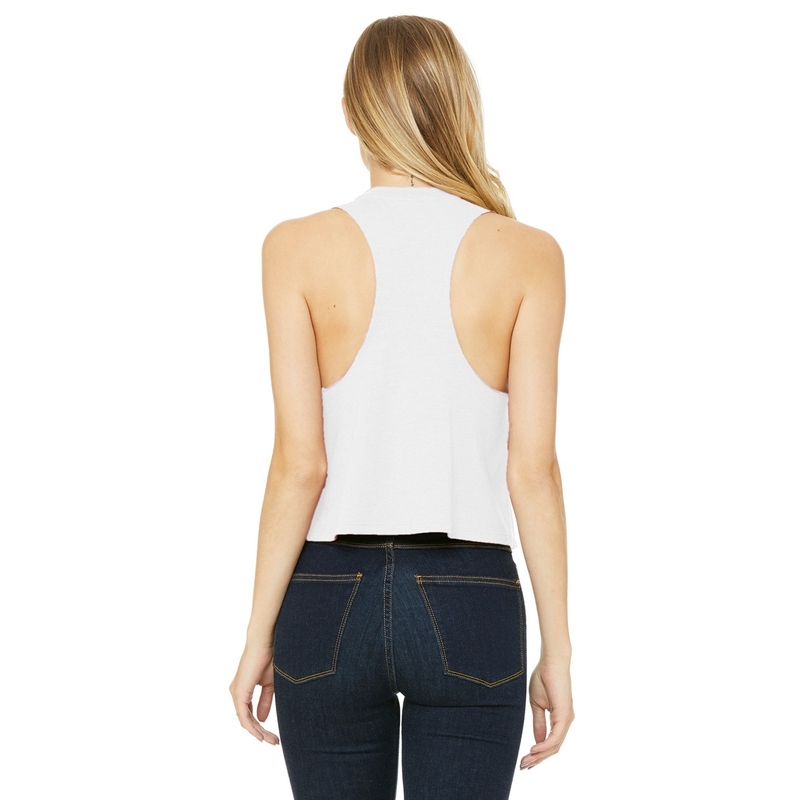 The Bluescentric Brand Janis Joplin Racerback Crop Top comes in relaxed cropped-fit sizes Small-Large. It is 52% airlume combed/ring-spun cotton, 48% poly jersey, racerback and features raw edge (unsewn) arm holes.